Whether you are just an hour or several thousand miles away from home, there will be moments when you feel so homesick that nothing seems to cheer you up anymore. There are a few things you can do in order to make yourself feel a little better. My homesickness usually stems from missing food cooked at home. The best way to deal with this is to check if there is a restaurant in your locality that serves the cuisine you eat at home. Go out an order all your favorite dishes. It is bound to cheer you up a bit! The other thing I do is talk to my family back home on video call. Hearing their voices and seeing their faces always puts a smile on my face. Knowing about their lives makes me feel a little closer to home. But the most important way to get rid of homesickness is to actively participate in your surroundings. Go out and explore new places and things in your neighborhood. Do something exciting with your friends. Maybe even try your hand at cooking those delicious meals you are craving. It is also a good idea to talk to you friends about it too. 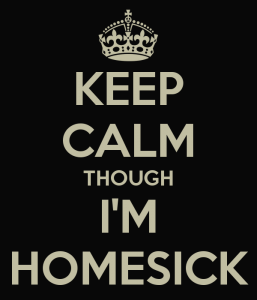 You will be surprised by how many of them will share your thoughts on being homesick. Being homesick is very natural when you are in college. Just do not let it get you down for too long that you miss out on all the fun things that college has to offer. 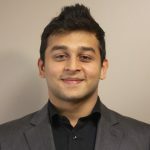 I am a Junior at Kelley School of Business. My intended majors are Finance and Technology Management. I am an International Student at IU. Through the 20 years I have spent in India, I have worked with people with different backgrounds, ideas and talents. I believe it inculcated in me an ability to adapt to different learning and working environments. My experience at IU has been amazing so far. I can definitely call this place my 'home away from home'.